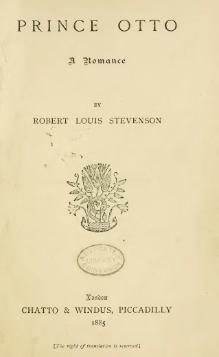 We know that in December 1893 Stevenson marked changes in a first edition of the novel for the braille translator Harriet Baker, but the braille edition has so far never been located. I am aware of the braille connection with the early edition of Kidnapped and have been asked the question by researchers in the past, unfortunately, as far as I am aware the manuscript copy of Kidnapped produced by Harriet Baker has no known location, if it still exists. I am afraid that we also have next to no details of Harriet Baker, there is a Mrs. Charles Baker listed as a member of the Auxiliary Union of the British and Foreign Blind Association (RNIB), this union was established to ‘firstly, write or correct embossed manuscripts, secondly, to encourage the employment of the blind by any means in their power, and thirdly to form centres for obtaining employment for the blind as individual circumstances and opportunity may suggest’ and finally for promoting knowledge of the aims and operations of the Association in circles where these were not already sufficiently known. Mrs. Baker first appears as a member of this Auxiliary Union in the annual report of 1893/94 and last appears in the report of 1899/1900. Kidnapped is first issued by the RNIB in 1893 as a manuscript copy, the following extract is from the beginning of the Manuscript Book list for that year ‘The British and Foreign Blind Association has had the following Books embossed by hand within the last four years, as there is not yet sufficient demand for them to make it desirable to print them.’ The earliest edition we have here is a grade II braille edition printed 1915, but states that it is produced from a 1914 edition, so not likely to be relevant for you. We also have a Moon edition printed in 1914. The Baker edition would therefore have been a unique, hand produced, manuscript copy. A handframe and style would have been used and Harriet would have written out the entire volume producing each braille dot one at a time. We do not have a copy of this manuscript in our historic collections, and it is quite possible that after a lifetime in public circulation, that when withdrawn from the library’s stock it was disposed of. We can of course hope that somebody had the foresight to preserve the copy, or that it may have been given to a member of the public when withdrawn and be in somebody’s loft. Many volumes have no standard print on them whatsoever, so it is easy for people not to know what they have.